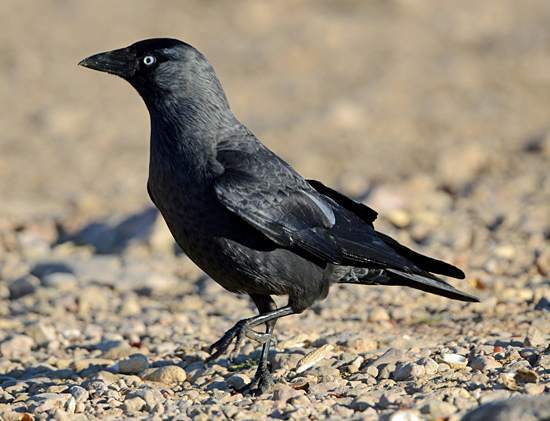 Jackdaws are the smallest of the crows and often congregate in large flocks in towns and villages. 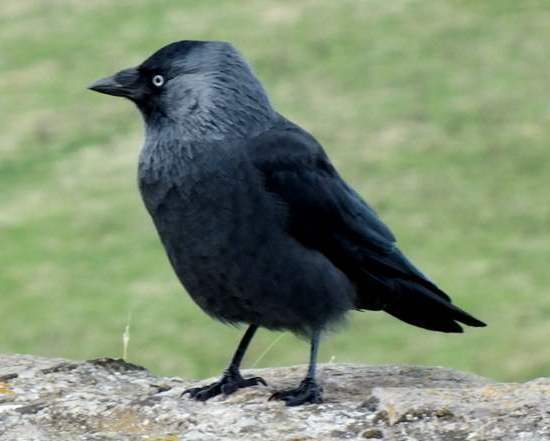 They nest in holes in trees or in disused chimney pots and other precarious places on buildings, where a nest will typically contain five blue-white eggs, mottled with little brown spots. 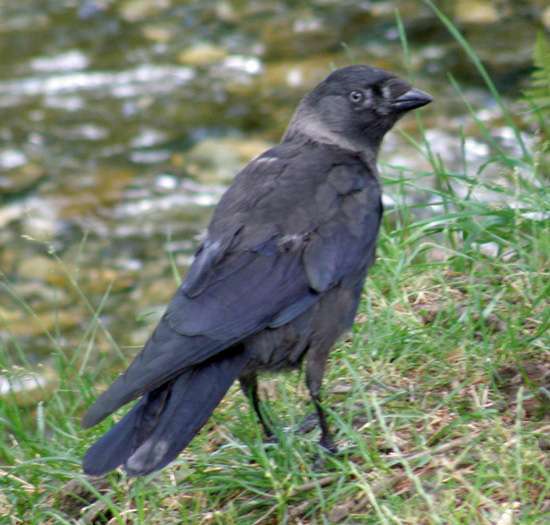 Jackdaws are omnivorous, feeding on insects, snails, spiders, worms, small mammals, other birds’ eggs, fruit, and berries; they will even sometimes come to bird tables.